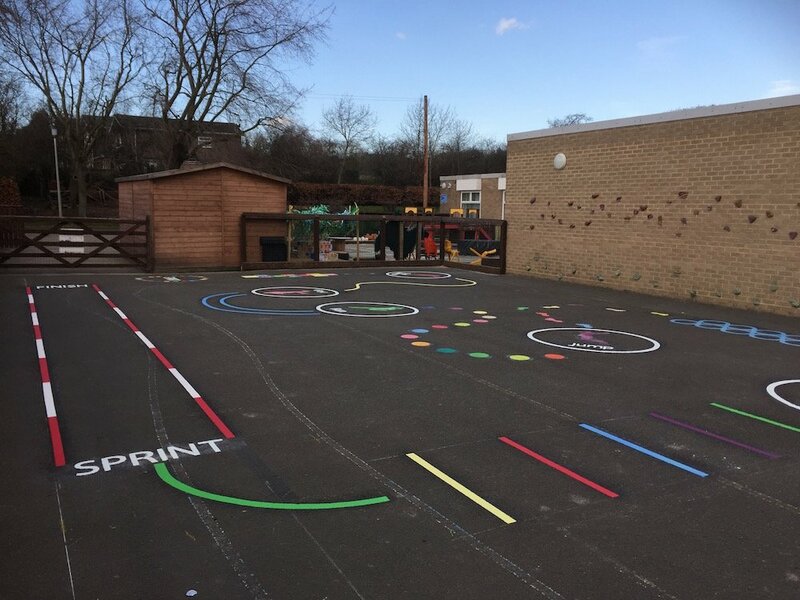 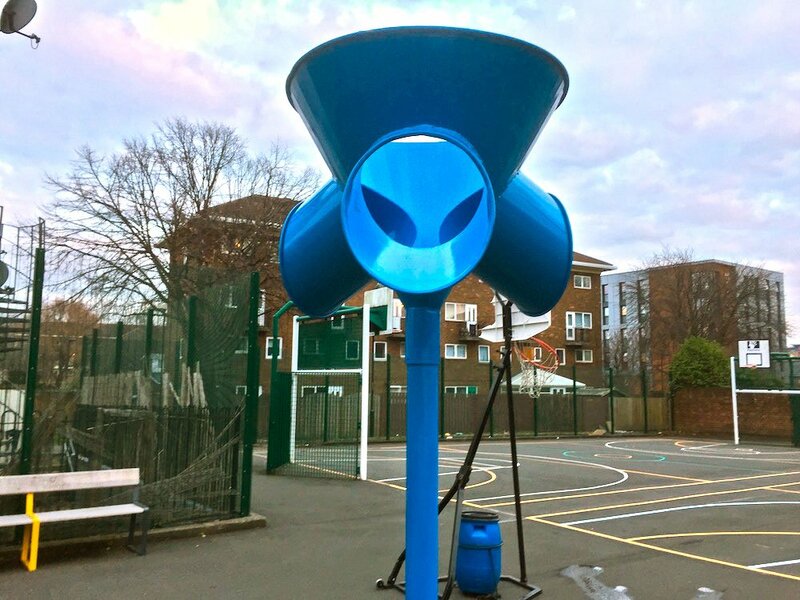 first4playgrounds have just completed an installation at a Primary School in London. 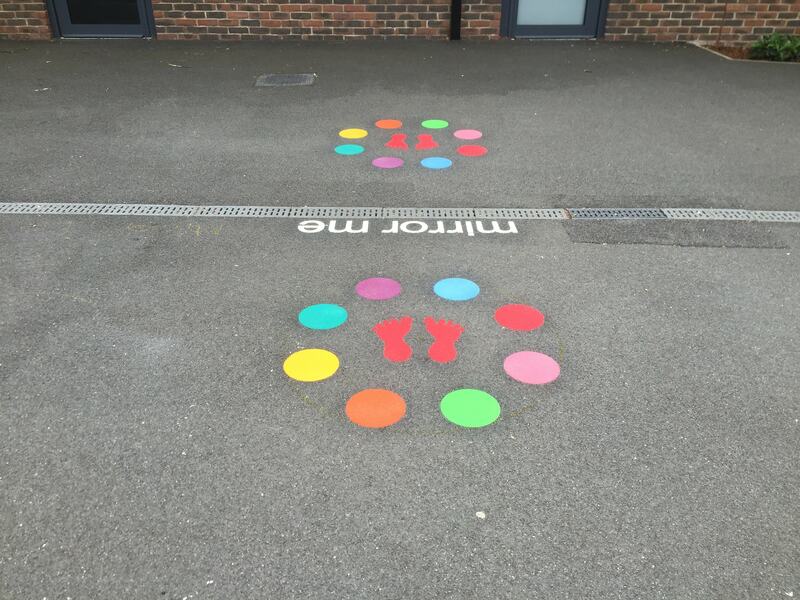 This was a wide range of bright and colourful markings. 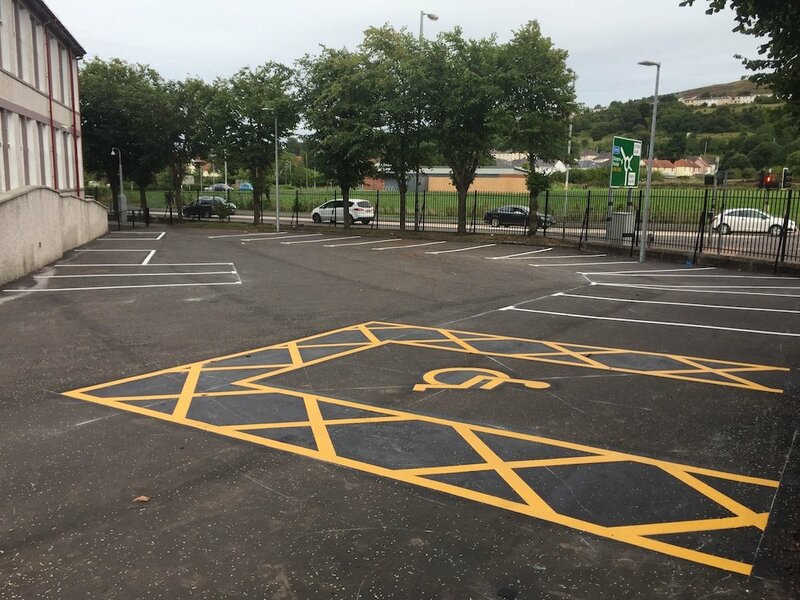 The work done really excited the teachers and students. 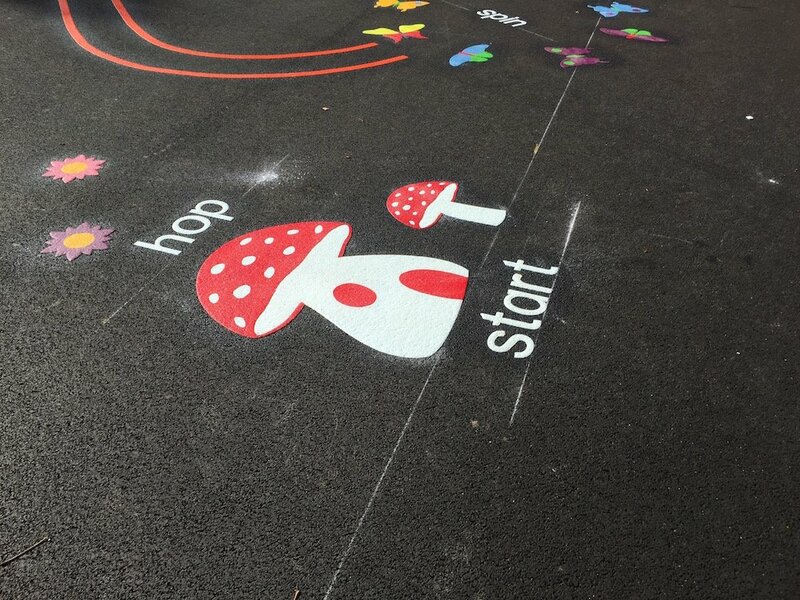 They were keen for more markings to be on the playground. 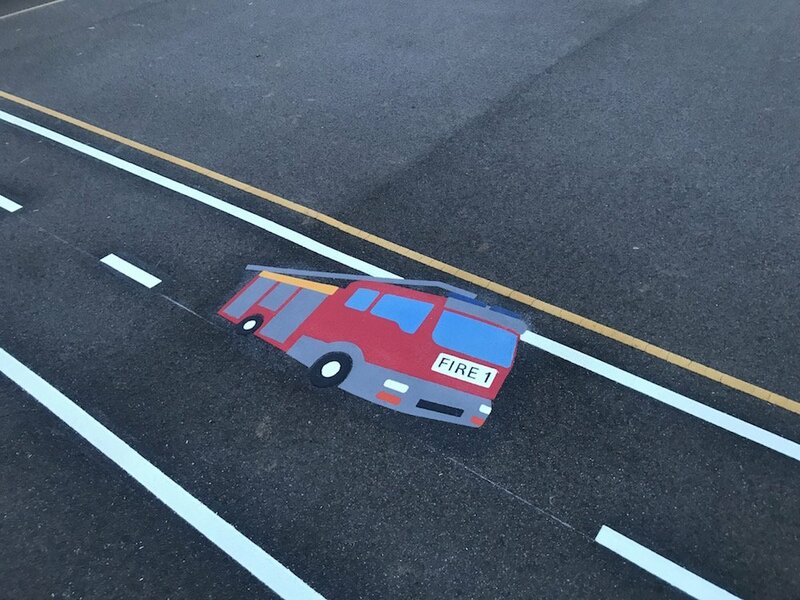 Firstly, the team installed this Mirror Me. 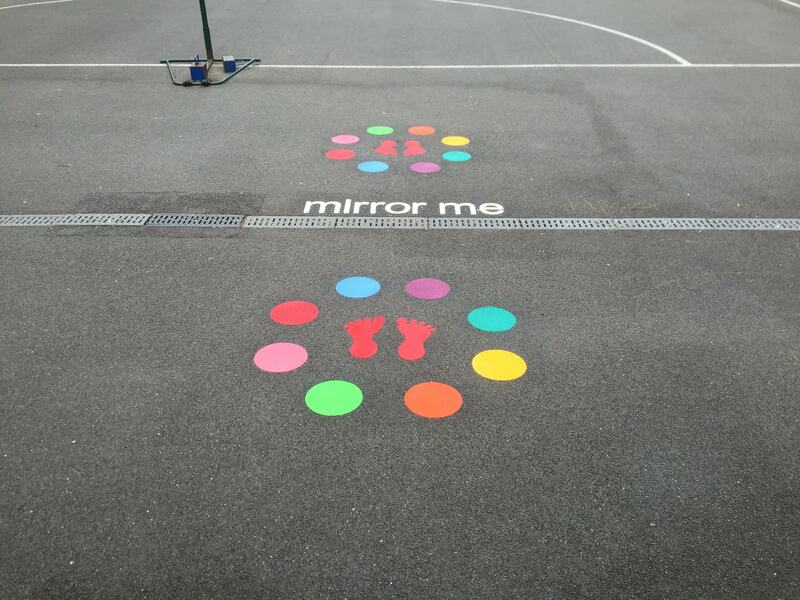 The Mirror Me game is played by two children. 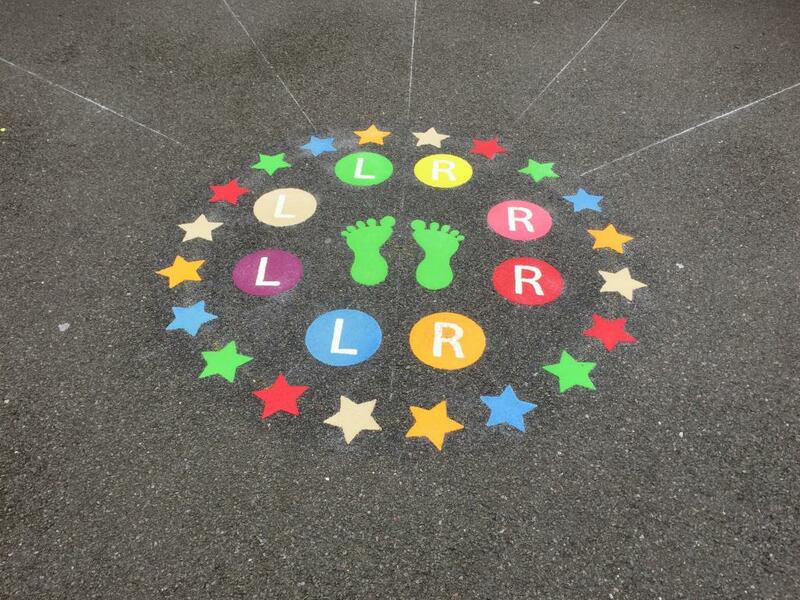 Each child stands on a pair of feet and copy’s the others colour co-ordinated footsteps. 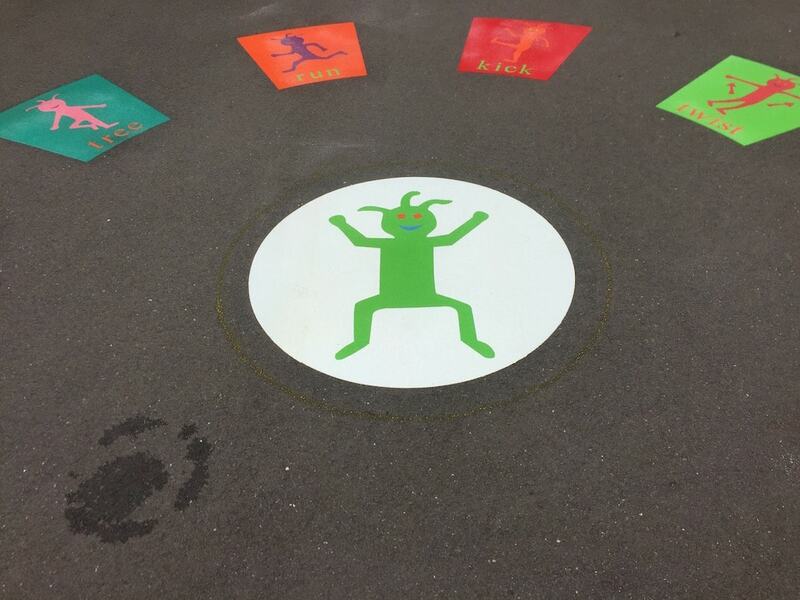 The Mirror Me is a very Popular addition to many school Playgrounds and it is loved by children and teachers throughout the UK. 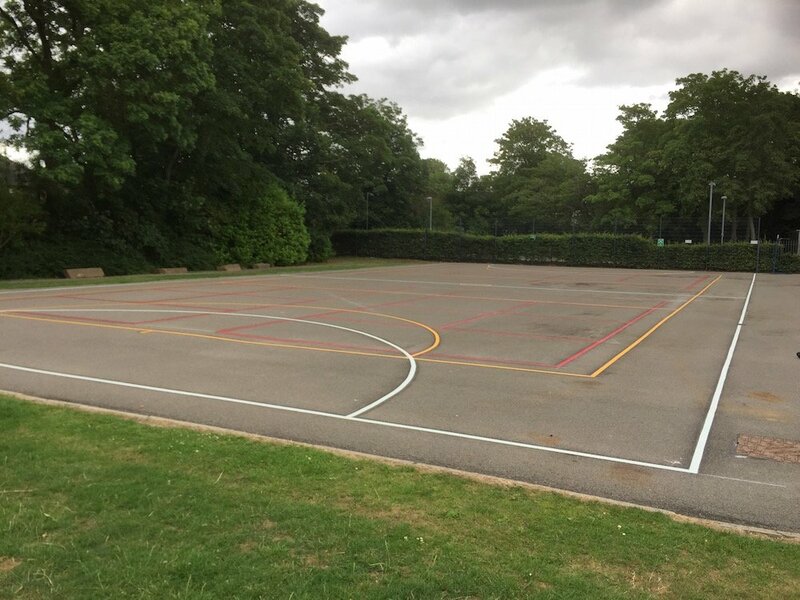 Next the team installed this Standing Long Jump. 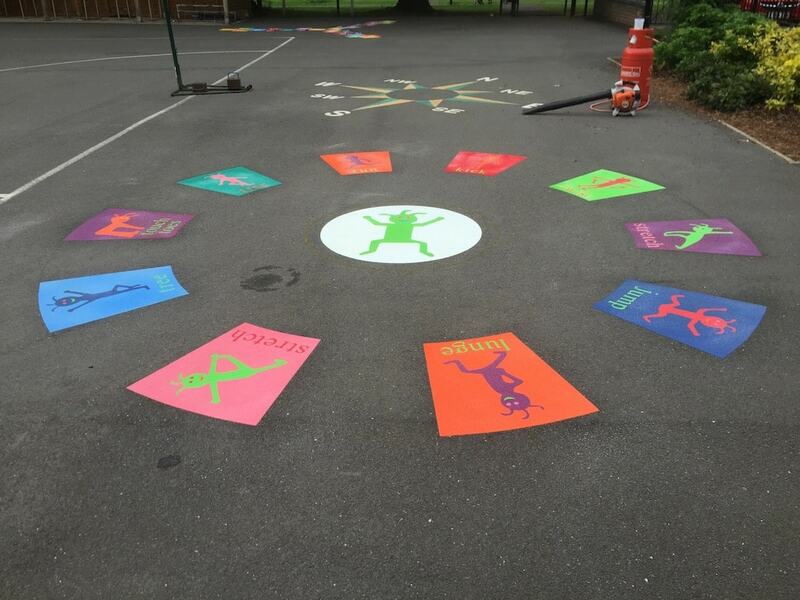 This is a great marking for young children practicing their athletic abilities. 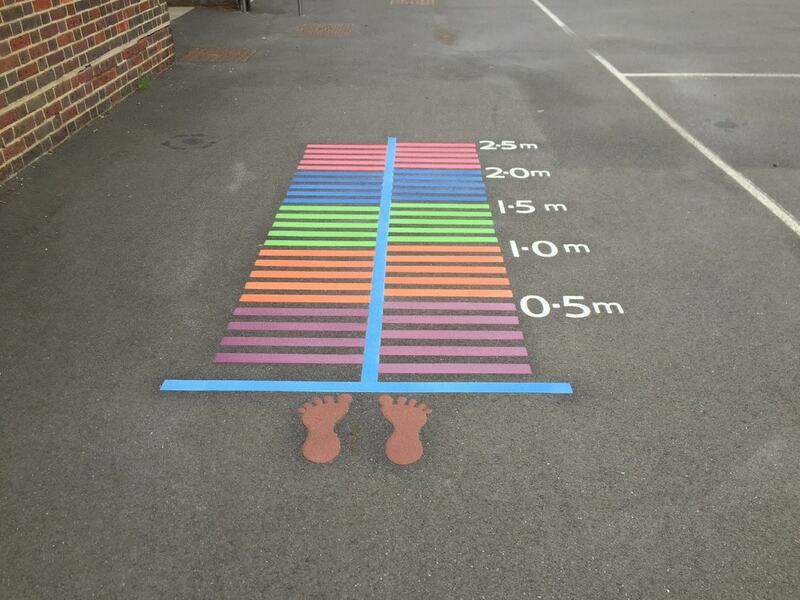 Where they can mark, score and compare how far they can jump. 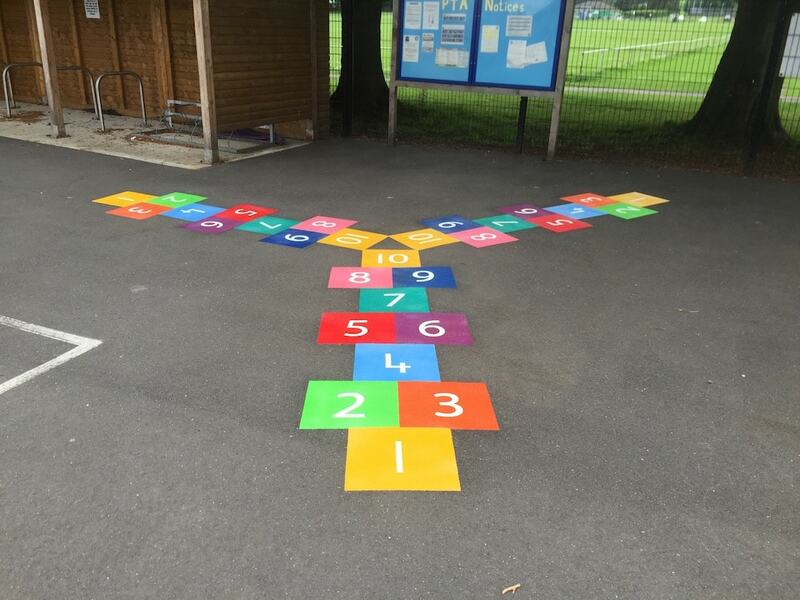 Next the team installed this 3 way hopscotch. 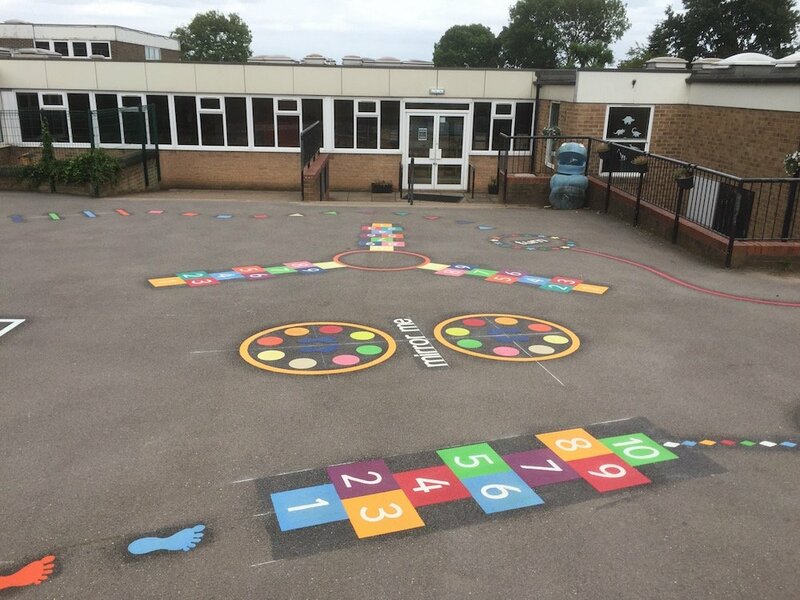 A twist on our Classic Hopscotch Playground Marking.